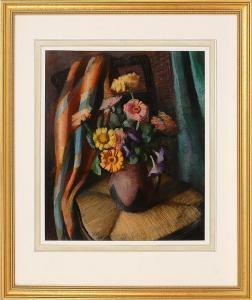 Find artworks, auction results, sale prices and pictures of Exene Reed Meyersham at auctions worldwide. 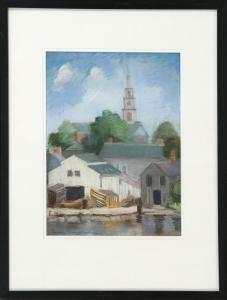 Seaside town with boathouses and a church. Signed lower left Exene Meyersham". Pastel, 15" x 11". Framed 25" x 21"." Daisies in a pot. Unsigned. Pastel on paper, 25" x 21". Framed 39" x 33".